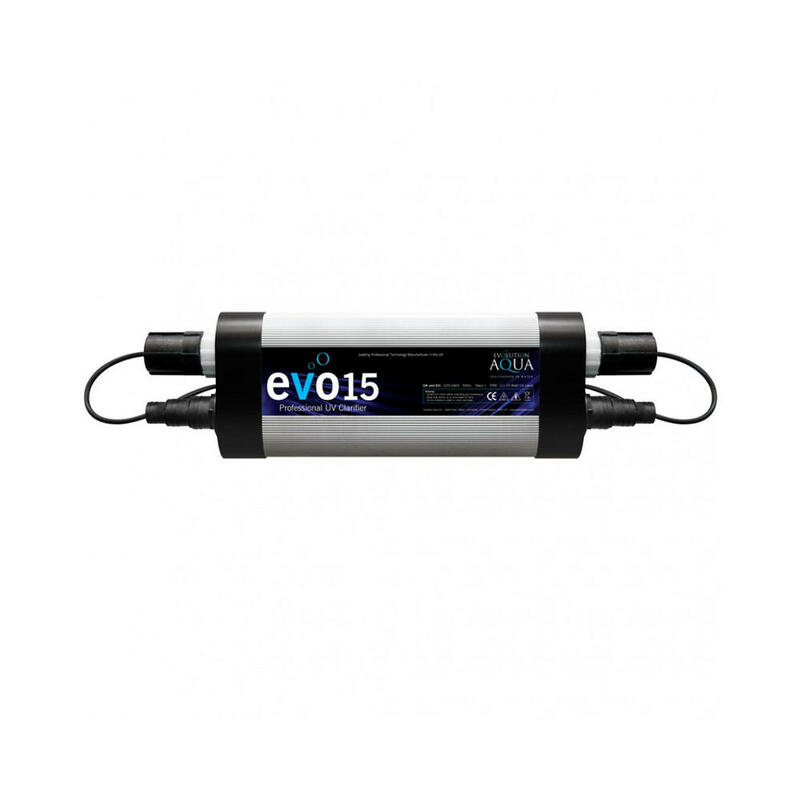 The new Evolution Aqua EvoUV Clarifiers are a professional range of powerful ultraviolet units that are both economical and extremely efficient when it comes to eliminating algae in your pond. 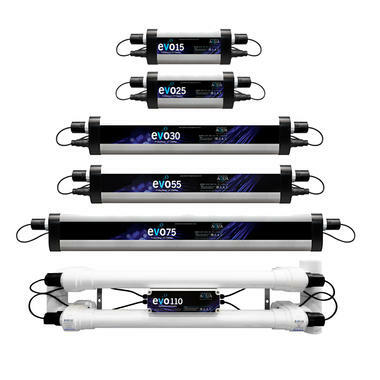 Adding a UV Clarifier to your pond system is an additional benefit to the filtration process. As the algae rich water passes through the UV unit, the ultraviolet light destroys the single cell algae that causes green algae. 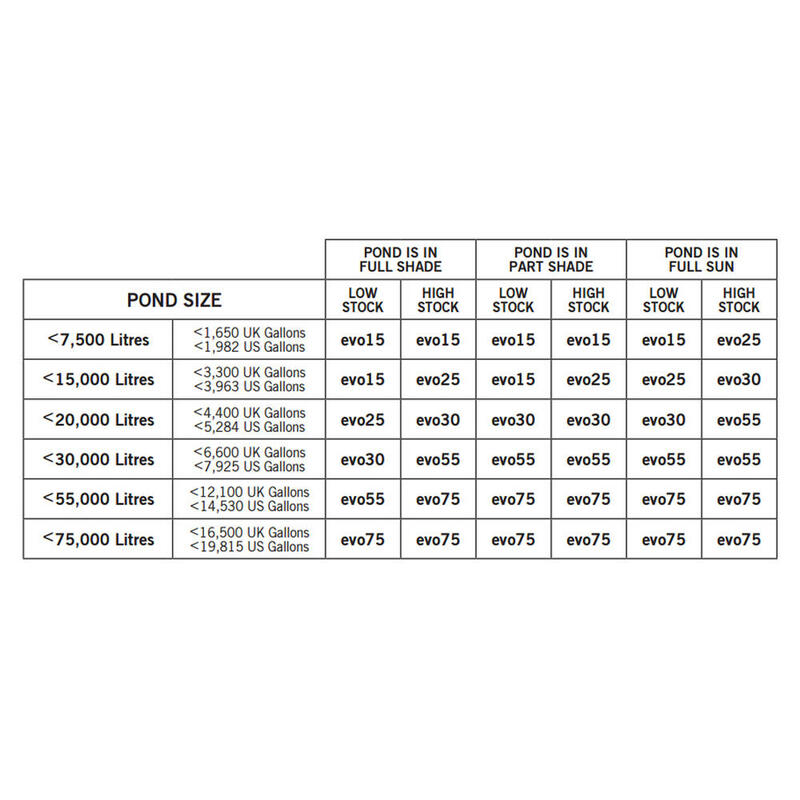 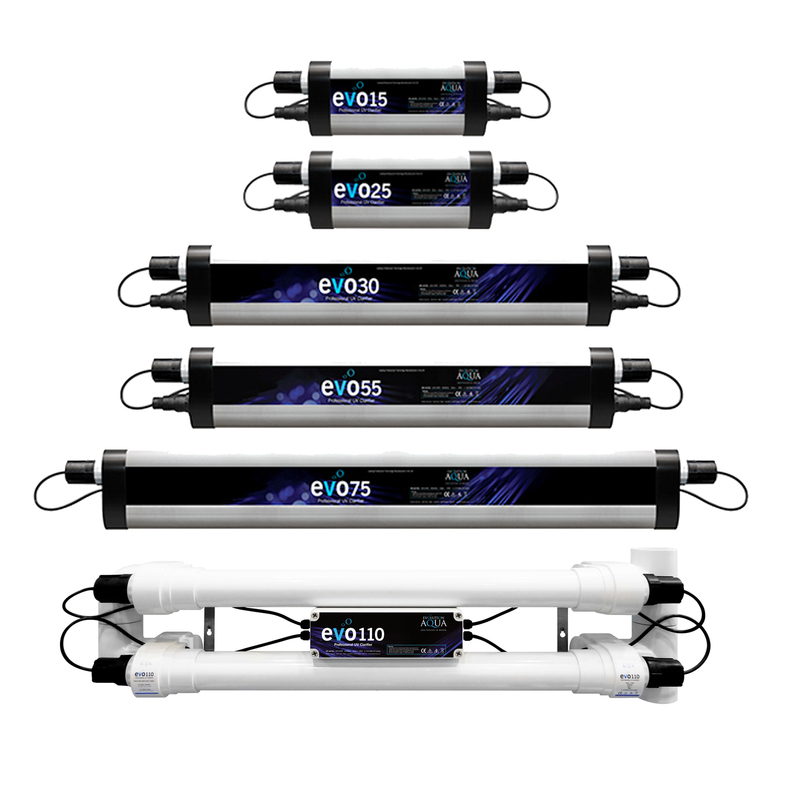 The Evolution Aqua EvoUV Clarifiers are powerful yet economical units that have been designed using the latest techniques to ensure effective flow rates and optimum performance. 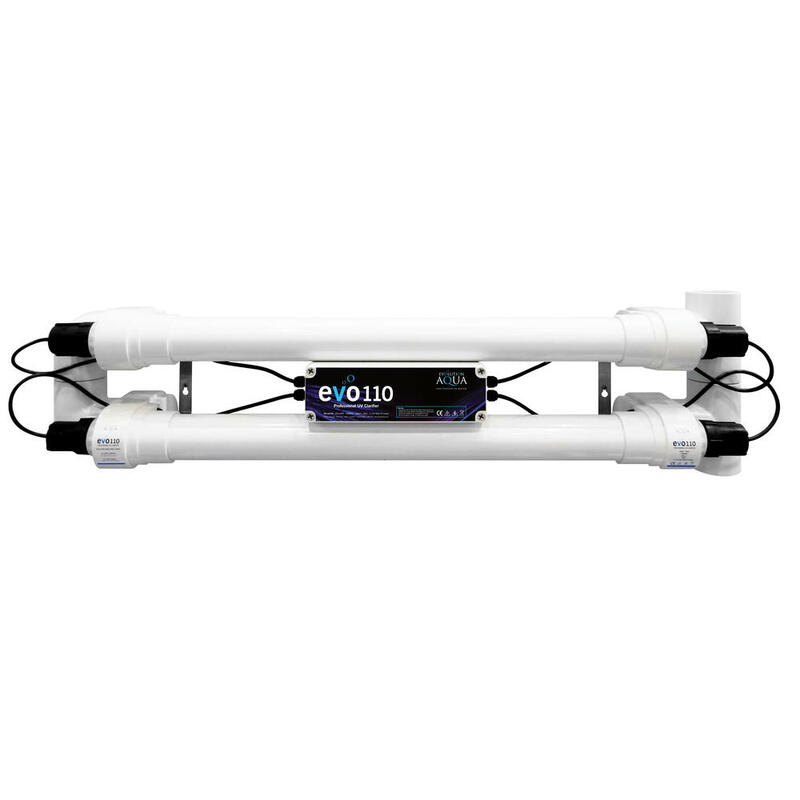 These units will work alongside many different filtration systems and are easy to install using flexible hose or hard pipe, making them easy to integrate within existing pipework runs. 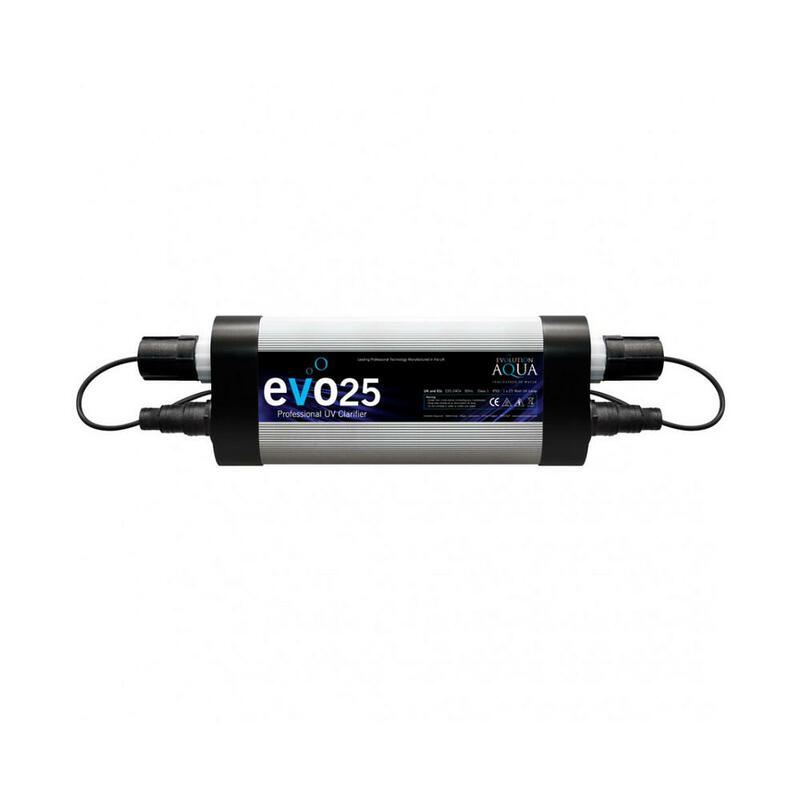 The EvoUV Units feature a low energy electronic ballast that is positioned in a robust and completely water tight compartment with full thermal overload protection. 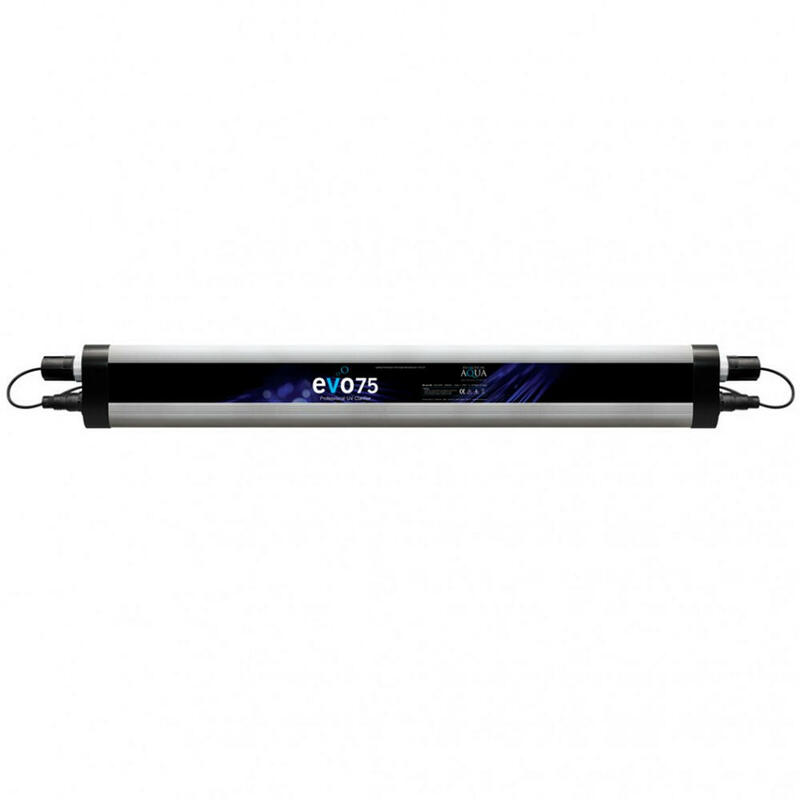 All models up to the evo75 comes supplied with 2x 1.5" BSP Male threaded hosetails. 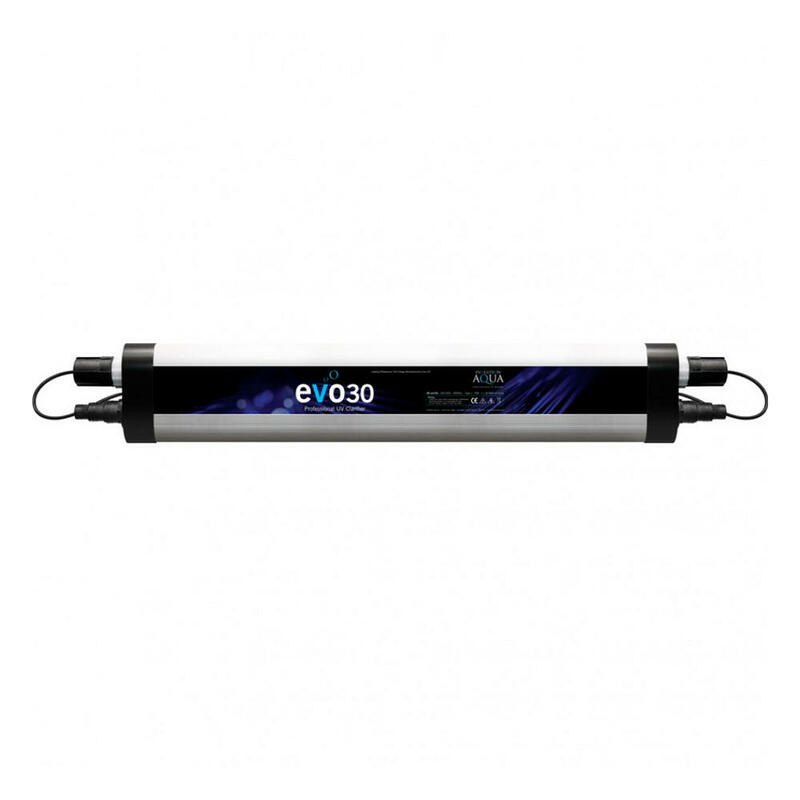 The evo110 does NOT come with any fittings.